Note the different location than most of our recent Maryland Meetings! WAMAS members get in free. Guests are $5 each (paid at the door). Nikki is a WAMAS member, an engineer, military spouse, and mom to two crazy kids. In her infinite spare time, her passion for the last twelve years has been rehabilitating hundreds of injured/diseased coral and fish. Her favorite moments include defeating bizarre pests, eliminating diseases, successfully beating “brown jelly”, and still managing to safeguard her favorite rescues as she moves back and forth across the country. This passion likely stems from growing up in a family dedicated to rescuing wild animals and native plants. She has over thirty years in the aquarium hobby and currently has a 120 gallon mixed reef and four quarantine/treatment tanks – ask her what it is like to move that from state to state! This isn’t your grandpa’s reef tank; these aren’t your average everyday problems. You won’t find aiptasia anemones, red planaria flatworms, or marine ich here. Instead, join us as we delve into corallivorous spiders, camouflaged nudibranchs, tentacle(? )-wielding flatworms, predatory pods, and other unusual pests and diseases encountered through rescuing corals at their worst. Learn troubleshooting techniques and treatment protocols through short case studies. So sit back, relax, enjoy copious photographs, and know that there is still hope. 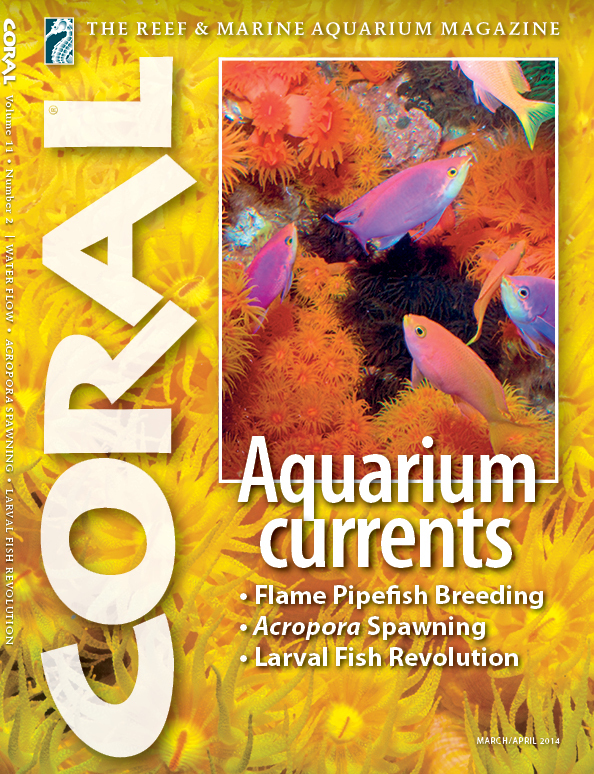 - 1 year subscription to Coral Magazine, the world's premier reef aquarium magazine. Donated by Reef2Rainforest Media. - Reef Frenzy premium frozen fish food. Donated by Larry DuPont of LRS, creator and owner of Reef Frenzy. - 1 Neptune Systems Apex I/O Breakout Box. Donated by Ken Brown at SaltwaterAquarium.com. Thanks, Ken! We have a "bring your receipts" program where if you bought stuff from one of our sponsors since the last meeting you can bring your receipts to the check-in desk to get one free raffle ticket for every $25 that you spent at a sponsor. We don't need to keep the receipts, but would like to see them in hardcopy form (not on your phone because it takes too long) to give you the free tickets. Bump for the meeting coming up in 2 weeks! I'll be updating the meeting thread in the next couple of days. I'm hearing from members who would like to set up tables to sell corals. If you'd like to sell corals at the meeting please send me a PM. I can go over what you need to bring and what is expected when you're selling. First, a 1-year free subscription to Coral Magazine - the best produced reef aquarium magazine in the world (IMHO). Donated by the great people at Reef2Rainforest Media. Second up is some Reef Frenzy premium frozen fish food. Donated by our good friend and supporter, Larry DuPont, creator of Reef Frenzy and other Frenzy foods. Multiple chances to win. Just added an I/O Breakout Box for your Neptune Systems Apex. A $40 value. Donated by Saltwateraquarium.com! Added three $50 gift certificates from Aquarium Depot to the raffle. Platinum Sponsor, Reed Mariculture has donated sampler packs of their feed products to our raffle. Come on out! Two chances to win! Frag Packs and gift certificates from Supreme Reefs added to the raffle! Thanks Ben!